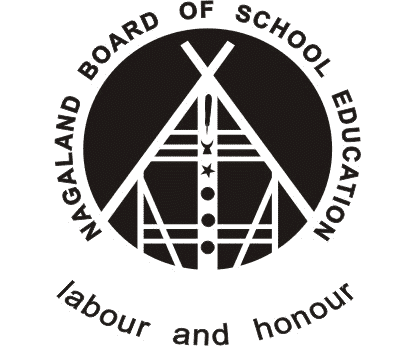 NBSE Question Paper 2020: Nagaland Board of School Education (abbreviated as NBSE) is a board of school education in the state of Nagaland, India. Students of Class 10th (HSLC) and Class 12th(HSSLC) may download the new revised NBSE Question Papers 2020 with answers and solution in PDF file. As a matter of fact, one of the main function of NBSE To prescribe conditions of examinations, conduct examinations and be responsible for making necessary arrangements for the same and to prepare the curricula, question papers for standard ten and twelve, syllabus and textbooks in accordance with the approved courses of study. NBSE is state agency of Government of Nagaland in India, it is responsible for promotion and development of secondary and higher secondary education in Nagaland. Every year, the Nagaland Board of School Education uploaded class 10th question paper and class 12th question paper in their portal. These question papers of NBSE will be useful in 2020 exam preparation. As a matter of fact, all candidates must download the NBSE practice question paper with answer solution to understand better examination pattern. In Nagaland Board std. ten is also known as the High School Leaving Certificate(HSLC). All the students of NBSE recommended checking latest NBSE Class 10th Question Paper 2020 for better Nagaland Board of School Education HSLC preparation in future. The following list shows the NBSE Class 10th Syllabus 2020 wise question papers. In Nagaland Board std. 12th is also known as the High Secondary School Leaving Certificate(HSSLC). All the students of NBSE recommended checking latest NBSE Class 12th Question Paper 2020 for better Nagaland Board of School Education HSSLC preparation in future. The following list shows the NBSE Class 12th Syllabus 2020 wise question papers.